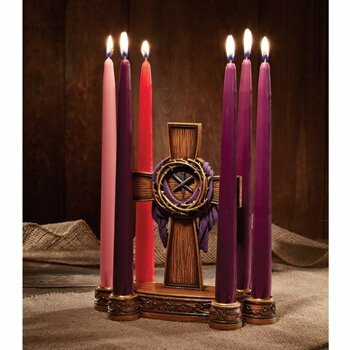 During both Advent and Lent, there is one Sunday that has the Liturgical color of rose rather than purple. In Advent, the pink Sunday is called "Gaudete Sunday". During Lent, the pink Sunday is called "Laetare Sunday". It's the fourth Sunday of Lent. 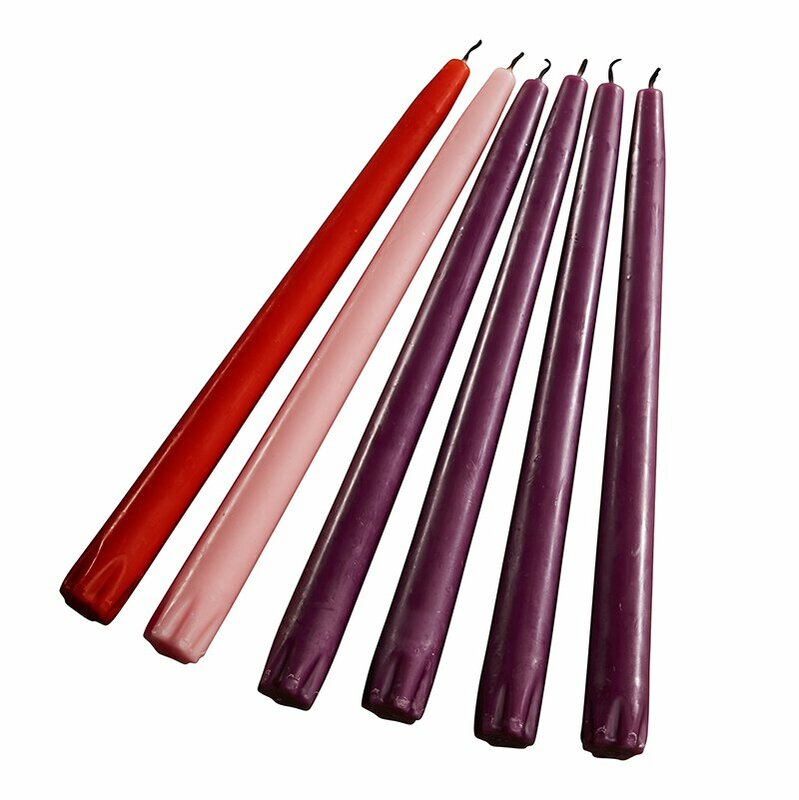 The red candle is lit on Good Friday, symbolizing Christ's sacrifice and death.